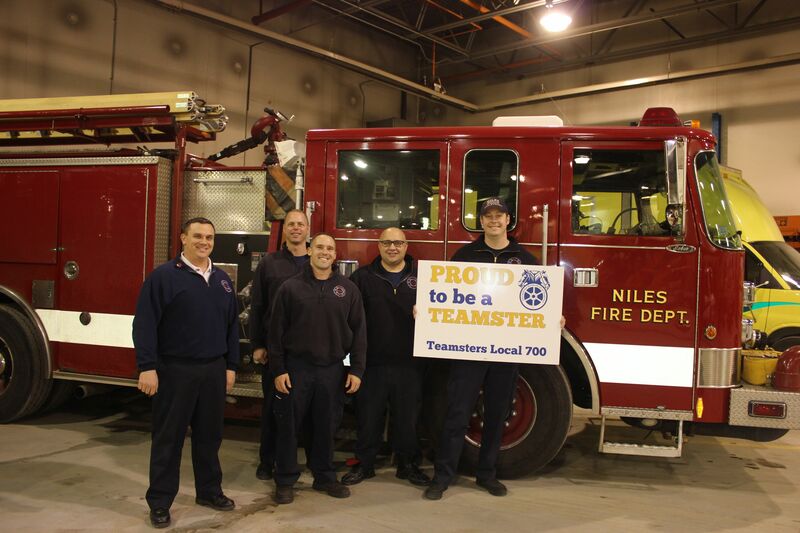 Teamsters Local 700 members of the Niles Fire Department voted unanimously to ratify their contract on Wednesday, Jan. 11 with a 35-0 margin. The current contract between the Village of Niles and Teamsters Local 700 will expire on April 30, 2017, and the new contract will be effective on May 1, 2017. The new four-year agreement includes a nine-and-a-half percent raise for all members across the life of the contract, with a two percent increase in the first year and a two-and-a-half percent increase the next three years. Members will also receive the same health care and sick time/duty injury benefits that were in the previous contract at no extra cost to them. Negotiations between the Village and Local 700 were held on Jan. 5 and a new contract draft was agreed upon a few days later. Niles Fire Department Steward Rich Scipione said everyone was pleased with how quickly the negotiating process took place. An additional benefit that continues in the new contract is tuition reimbursement up to $3,050 per calendar year for full-time employees who are continuing their education. “We are privileged to represent the hardworking members of the Niles Fire Department and I am thrilled they have secured another strong Teamster contract,” said Teamsters Local 700 President Becky Strzechowski. Teamsters Local 700 represents more than 10,000 public employees across Illinois including firefighters at the Niles Fire Department, Roberts Park Fire Department, Summit Fire Department and Prospect Heights Fire Department.